When it comes to access control in Aurora, Ontario, it’s all about having the right system properly installed. And here’s where our company comes in to make things easier for you. Not only do we send out experienced techs to install access control systems, but to fix problems too. Highly dedicated to our trade and fully updated with the most recent systems on the market, we help you control access in the main building but also all interior areas you want too. 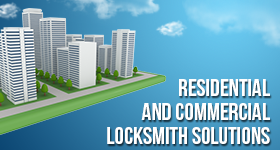 Get service you can trust and afford by reaching out to Payless Locksmith Aurora. 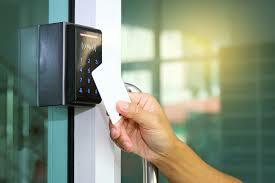 If it’s time for access control system installation in Aurora, do yourself the favor of turning to our company. Experienced with such high-tech security systems, our team is the best bet for impeccable installations. Whether you want a keypad at the main entrance of a residential building or to control access in a doctor’s office, file room, or workstations with card readers, we are up for any job. With access control, residential complexes are more secure while businesses compliant with regulations and able to protect valuables. Turn to our access control systems company should the need for service ever arises. Are you having some problems with the keypad? Are some access cards damaged? Is the door not granting access when you pass the card to the reader? No matter what your troubles are, just let our team know and we will send you a tech in no time. From normal wear to a wrong installation, anything may cause a complication. Don’t worry. We are here to address it and do so in a jiffy. Call us with your problem and a pro will offer access control repair before you know it. From repairs to installations and anything you may ever need in between, we are at your disposal for any access control service. If you want to invest in your security and increase convenience at the same time, you cannot go wrong with such systems. If you like the installation of Aurora access control systems done right and all repair services performed with accuracy in a timely fashion, just turn to us. Contact us with your questions and needs any time.